This book identifies the most common mistakes individuals make when presenting and explains how to avoid them when creating your own highly successful presentations. Including a detailed sample outline you can adapt for your own purposes, this book will turn you into a polished and persuasive presenter and a first-class sales professional. 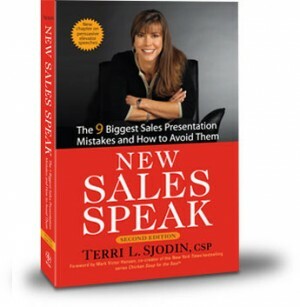 Published to acclaim in 2000, this newly revised and updated edition includes new case studies; a new chapter on the buzzed-about “three- minute elevator speech”; and hot tips from Sjodin’s workshops, where participants design and deliver their own presentations.